Small quiet 17-home community with sidewalks and streetlights. Enjoy the Happy Valley area of Coweta county that offers a country setting but it is less than 10 minutes to the interstate, shopping, schools and recreational opportunities. 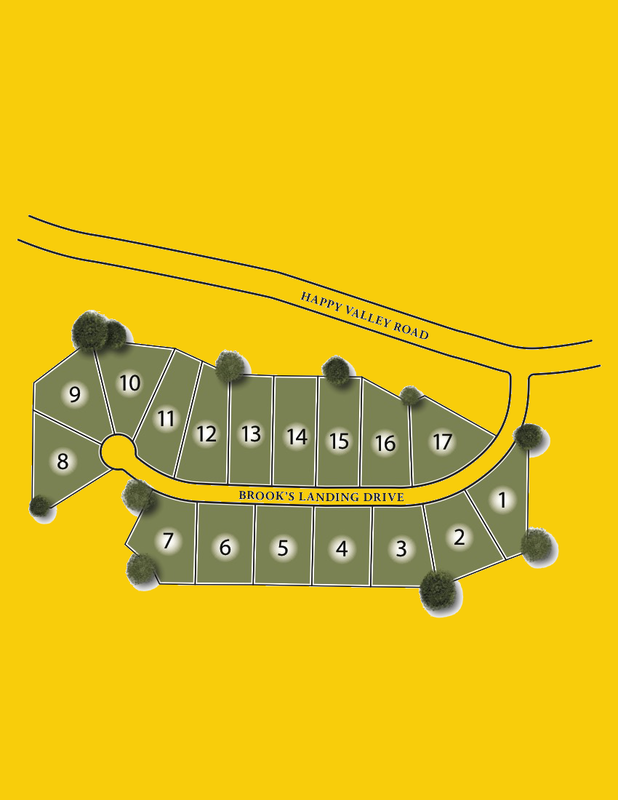 Each lot is a minimum of one acre with most having open/undeveloped land behind the home site. Homes are craftsman style ranch, master-on-main, 2- or 3-story plans. These homes include many upgrades as standard features including granite counters in the kitchen, stainless steel appliances, hardwood floors, tile master shower and ceramic tile floor. Choose Brooks Landing, one of Jeff Lindsey Communities' newest neighborhoods, as your new home --- Live your Dream. I-85 South to Exit 51, Hwy 154 McCollum-Sharpsburg Road. Turn right. At light, turn left on Hwy 29. Go approximately 2 miles to right on Cedar Creek Road. At stop sign, turn right on Happy Valley Circle. Go 1.7 miles to left into Brooks Landing.